Flexible Stand – for iPad, Tablets, etc. 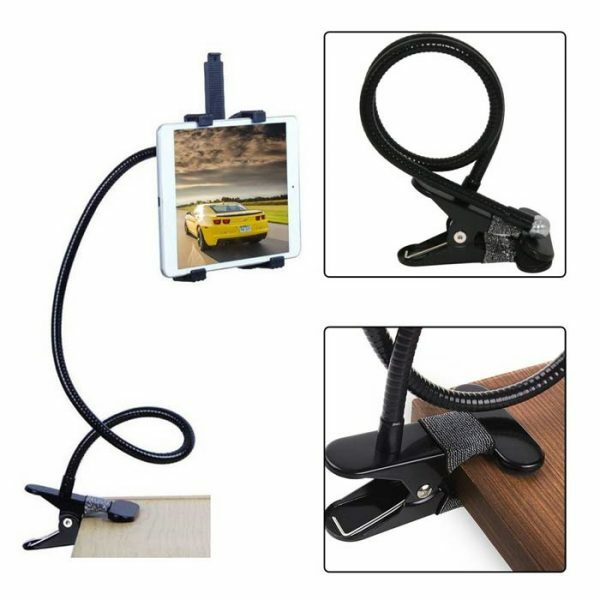 The Flexible Stand provides a flexible and adjustable position needs on bed, car, table, etc. For example, when you are laying on the bed and wanna watch a movie, just clamp it on your headboard and adjust the long arm towards your face with a comfortable distance. 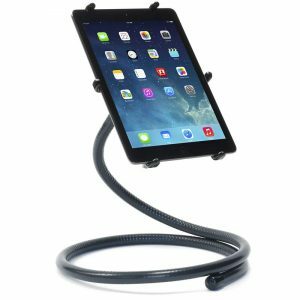 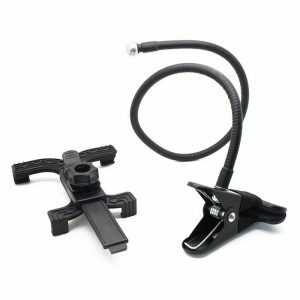 We are sure that Flexible Tablet / iPad Mount will be a most comfortable and enjoyable must-have thing in your home or office. It holds and stands your Tablet / iPad to bedside, desktop, car anywhere. 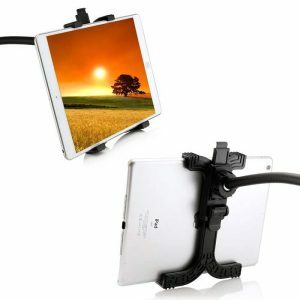 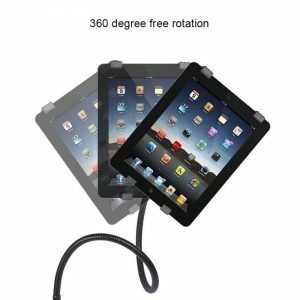 With strong flexible goose neck holder, you can adjust the Tablet / iPad into any angle you want. The clip holds your Tablet / iPad very firm onto anywhere you want. 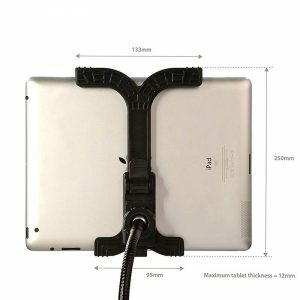 Works with all iPads and Tablets below 12"